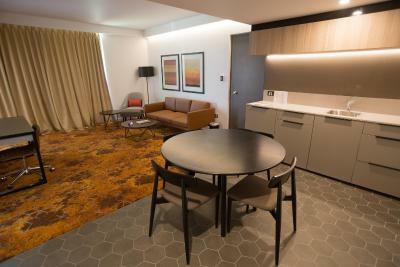 Lock in a great price for Crowne Plaza Alice Springs Lasseters - rated 8.6 by recent guests. We liked the huge pool, views of the Macdonnell Ranges, multiple restaurant options, easy car parking, comfortable rooms and great buffet breakfast. The breakfast was fresh and constantly maintained. The staff were friendly and helpful. The ambience on the deck was relaxing, and a great way to start the day. Great, large well appointed room at an excellent price. Beautiful, modern, spacious rooms that have all the facilities you want: comfy bed, rainshower, coffee making facilities, balcony, etc. Very nice pool as well! Would definitely stay here again! Reception was excellent Reception wa also excellent when we had a problem with the first room allocated. Bed was very comfortable. The SHOWER was to die for. Also would love to buy the shampoo and conditioner, My hair loved it. The pool area was fantastic after a hot day touring. Room was nice, bed comfortable. Breakfast great. Guest laundry handy. 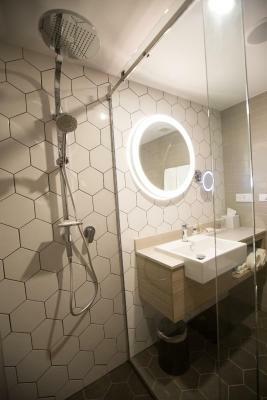 Lovely room and excellent shower - a great ‘standard’ room. One of our top picks in Alice Springs.Nestled at the foot of the majestic MacDonnell Ranges in Alice Springs, the 4.5 star Crowne Plaza Alice Springs Lasseters offers rooms with a balcony or patio. Guests enjoy free WiFi, a heated pool, a spa bath and a 24-hour health and fitness centre. Crowne Plaza Alice Springs Lasseters is located next to Alice Springs Convention Centre and Alice Springs Golf Course. Alice Springs Desert Park is 15 minutes' drive away. Guests have free use of mountain bikes to explore the area. Crowne Plaza Alice Springs Lasseters offers rooms and suites featuring an LCD TV with in-room movies and cable TV. Guests can enjoy 4 bars and 3 restaurants, including Juicy Rump bar and grill, Tempo, a wine and tapas bar, and Tali which offers modern Australian cuisine with outback influences. Crowne Plaza Alice Springs Lasseters has been welcoming Booking.com guests since 14 Oct 2009. When would you like to stay at Crowne Plaza Alice Springs Lasseters? 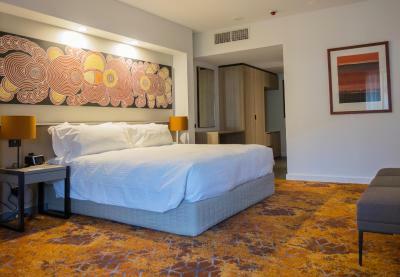 Crowne Plaza Alice Springs Lasseters has just invested an additional $6.25million into refurbishing our Standard, Deluxe and Suite Room categories. The property has just taken out the 2017 Qantas Australia Tourism Award for Best Deluxe Accommodation and boasts a fantastic range of room, facilities and services to accommodate all guests needs. House rules Crowne Plaza Alice Springs Lasseters takes special requests - add in the next step! Crowne Plaza Alice Springs Lasseters accepts these cards and reserves the right to temporarily hold an amount prior to arrival. Please note there is a 1.5% charge for payments made with all other credit cards. The view of the ranges , the free push bikes , the pool . The whole thing. More English Breakfast tea bags in the room. Being picky: balcony was 85% clean with some stains and broken glass , cleaner did a 50% job after being asked to clean it, auto-switched light in cupboard broken. Hallway carpets a bit run down. Just need to fix up a few things here and there. Would be good to have some thin pillows in the room or hotel (at least) for those that don't sleep well on thick/large pillows. Pretty good value by Australian hotel standards. 97% good experience.... with a tiny bit more attention to detail it would be excellent. Some drunken casino guests caused a racket at 4 am. The hotel is a bit out of town. But they run a free shuttle or you could get a taxi for about 12 dollars. Breakfast seemed a bit unorganised, looked like they did not have enough staff for the amount of guests coming in. We had to ask for items to be refilled and coffees took a very long time. No one at the door to meet us either. The cleanliness of the hotel public spaces, in part was disgraceful. There was a dirty knife and serviette on the floor near the entry/exit of Block 5 for 2 days (could have been more but still there when we left) - no excuses, plenty of room staff must have seen it. The corridor carpet is grubby and needs replacement. The location was good, handy to all. A few prowlers around the hotel. There was no information info in the room so had to call or ask desk about little things like pool towels, breakfast time, fitness info. Most hotels have all that in the room. A little bit noisy at night.